Soulmates meet each other twenty-four hours too early; it's all in the timing. Rosemary is a prolific writer, director, and actor; as such, the words “theatre person” seem a better fit. Last year, she had two works in NIF: CALL and Y. F*ck L*ve may or may not be based on a true story, but, in any case, it just shows how fragile this search for happiness is. Later this year, she is directing Queen Marie for the Alumnae. Rosemary is the artistic director of both the Red Sandcastle Theatre and the Wilde Festival. 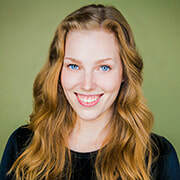 Brittany is a Toronto-based actor-director and graduate of the Theatre and Drama Studies program at the University of Toronto and Sheridan College. 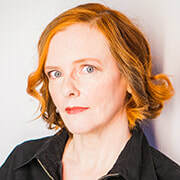 She began directing shows such as Bridge to Terabithia and The Twits in her hometown of Newmarket, and made her Toronto directorial debut with That Joyce Girl during the 2016 Toronto Fringe. 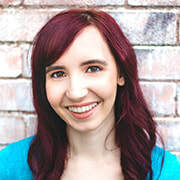 Brittany most recently directed a physical and devised adaptation of A Wrinkle in Time for KWY Theatre. 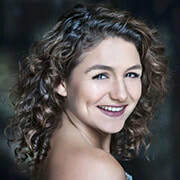 Select acting credits include Margaret in Carrie: The Musical (Hart House), Mahesh in The Creases in My Sari (Alumnae, FireWorks Festival), Orpheus & Eurydice (TOnight), and Tracey in Rukmini’s Gold (Red Betty). 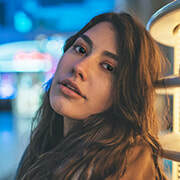 Gabi is a grade 12 high school student at Rosedale Heights School of the Arts majoring in the performing arts. She is currently working in a co-op position at Tapestry Opera, and has been involved as an assistant stage manager for Bandits in The Valley (2017) and running lights for Songbook V (2017) and Disaster Relief Concert (2017). She is returning to the New Ideas Festival after stage managing Beat (2017) to stage manage Rosemary Doyle’s F*ck L*ve (2018) directed by Brittany Miranda. Drea is thrilled to be back onstage at the Alumnae Theatre. Her last appearance there was as a friendly goldfish! She’s spent the past eight years immersed in the world of swing dancing – training, teaching, performing, and competing. She even ran her own rock ’n’ roll dance studio for a while. And she hasn’t abandoned her beloved triple steps altogether; you can catch her in a 1950s rock’n’roll routine at the Bees’ Knees Dance show in June. 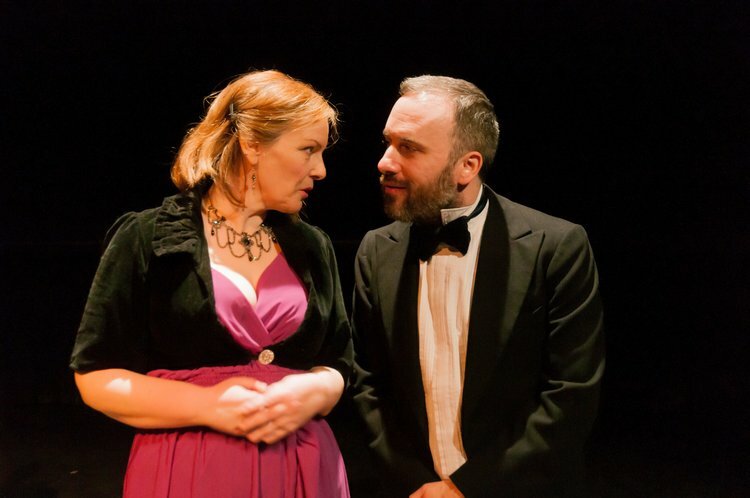 Favourite roles have included Toinette in Molière’s Imaginary Invalid, Peter Quince in A Midsummer Night’s Dream, and Breast Woman in the indie feature Most Guys Today. She coordinates live script reads for ReelHeART International Film Festival. And when she’s not doing any of that, she’s probably snuggling with her cat. After studying drama in his hometown of Dublin, Ireland, George attended the Stella Adler Studio in New York City. He now views Toronto as his home away from home. He has spent the last five years working on both stage and screen in Ireland, New York, and Canada. George is also a talented musician and songwriter, playing guitar, mandolin, bass, keys, and banjo. His latest album, Changing Tenses, was released in 2015. Franny retells the story of her childhood, her family, and the impact made by the enigmatic Dancing Man of Macklin Street. 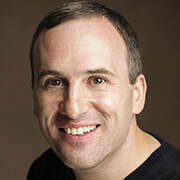 Andrew is a playwright whose plays focus largely on reconstructing memory and how it is represented. His plays have been produced in Toronto, Hamilton, and Newmarket festivals. 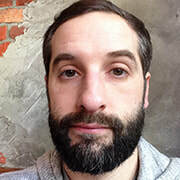 This is his third play in Alumnae Theatre’s New Ideas Festival (The Dancing Man of Macklin Street – 2018, The Ballad of Sadie Wong – 2017, Prayers to St. George – 2016) and his third project with director Cassidy Sadler (NIF 2018, 2017, and Hamilton Fringe 2017). Andrew would love to especially thank Alumnae Theatre for such generosity and for running such an amazing festival. Cassidy is a Toronto-born director, actor, and writer. She is a graduate of the University of Toronto with an Honours BA in Drama and English. Cassidy participated in the New Ideas Festival in 2012 as a writer, and in 2017 as a director. She is absolutely thrilled to be back. 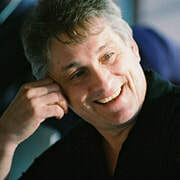 Directing credits include Subway Extension to the Mariana Trench (Hamilton Fringe); The Ballad of Sadie Wong (New Ideas Festival); Hello from the Rain (University of Toronto Drama Centre); Here Lies Henry (Rosedale Heights School of the Arts, alumna); Let My Mind Run Dry (Hart House Drama Festival); Never Swim Alone (Victoria College Drama Society). 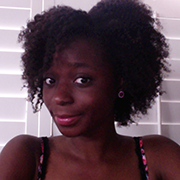 Lola is a Nigerian-born, Toronto-based, aspiring writer/director. 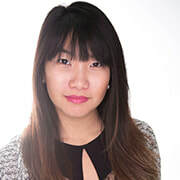 She is a graduate from the University of Toronto and is currently working on developing several short and long-form stories. She is very grateful to the organizers of the New Ideas Festival for giving her this opportunity to learn from talented creators like Cassidy and Andrew while still navigating her own creative voice. 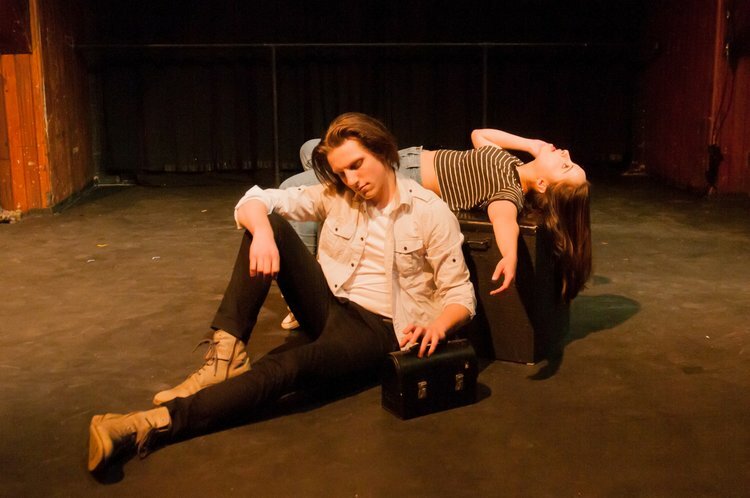 Past experiences include performances in amateur productions of Hamlet and 3 Generations and Counting (Original Play in the U of T – NSA Terracotta Cultural Show). In her spare time, she enjoys movies, basketball, and Ultimate Frisbee. 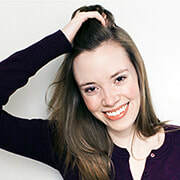 Claire is a west coast–born, Toronto-based actor and movement coordinator. She is a graduate of the University of Toronto and is currently an associate artist with Off-Key Productions. Claire is thrilled to be making her Alumnae Theatre debut in The Dancing Man of Macklin Street and would like to thank her wonderful director, Cassidy, for her incredible leadership and support! 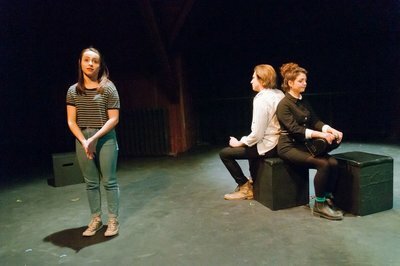 Select credits include Subway Extension to the Mariana Trench (Hamilton Fringe), Romeo and Juliet (Excerpt – Centre for Drama, Theatre & Performance Studies [CDTPS] 50th Anniversary Celebration/Shakespeare at Play) 4.48 Psychosis (CDTPS), In Conflict (CDTPS), and The Beckett Shorts (CDTPS). Gabriella is an actor and musician raised in Saronida, Greece, and Niagara-on-the-Lake, Ontario. She is involved in all kinds of theatre, ranging from the classics to avant-garde, as well as film and television. Gabriella is one of the members of the Toronto-based all-female theatre collective The Nips. 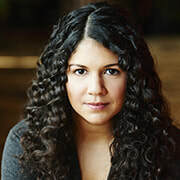 Her performances with Humber Theatre include Innocent Erendira (Mina), directed by Tatiana Jennings; The Playground (Nadya), directed by Marie Beath Badian;, Women Beware Women (Bianca), directed by Diana Belshaw; and To Ithica (Milly), directed by Tatiana Jennings. Mitchell is an actor, writer, and producer. This is his second time performing in the New Ideas Festival at Alumnae. He is currently working on a sketch-comedy Instagram series (I Dream in Colour @IDICSeries) and is producing a short film he has co-written (Like Each Other). He has also written and produced two plays: Perfect Couples (Pencil Kit Productions, 2017) and Room for Failure (Wolf Manor, 2016). Select acting credits: Shu, Four Hours (NIF, 2016); Cameron, Boys from the Burbs (The Empty Room, 2015); Antonio, Twelfth Night (Ale House, 2013/2015). 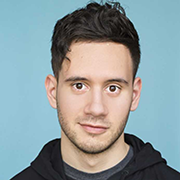 Daniel is an actor and a graduate with honours from York University’s BA program in Creative Ensemble. He also holds a certificate in Community Arts Practice and currently studies in Toronto at the Pro Actors Lab. For Alumnae Theatre Company: A Woman of No Importance (Farquhar). Daniel would like to thank his family and friends who have always supported him on his journey. He is thrilled to take the stage. Dream it. Wish it. Do it! Vanessa & Aidan, Zio love you!!!!!! A student teacher meets with her advisor to evaluate her practicum, but the discussion takes an unexpected turn. Stephen is a playwright living in Hamilton. His plays have been performed as part of the Ottawa Fringe, the Toronto Fringe, the Hamilton Fringe, New Ideas Festival, SummerWorks, and Theatre Aquarius. 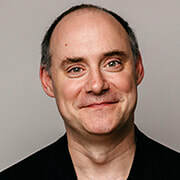 Stephen is an alumnus of the Sage Hill Writing Experience and the Banff Centre, and a member of the Playwright’s Guild of Canada and the Theatre Aquarius Playwrights Unit. 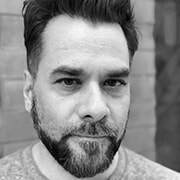 Stephen has taught playwriting at Mohawk College, Redeemer University, and McMaster University; he is currently enrolled in the University of Guelph’s MFA program for Creative Writing. Stephen is co-founder and playwright-in-residence of Same Boat Theatre in Hamilton. Lori graduated from McGill University with a BA in English/Theatre and began directing while she was in school. Since then, she has acted, stage managed, directed, written, and even costumed a few folks along the way. 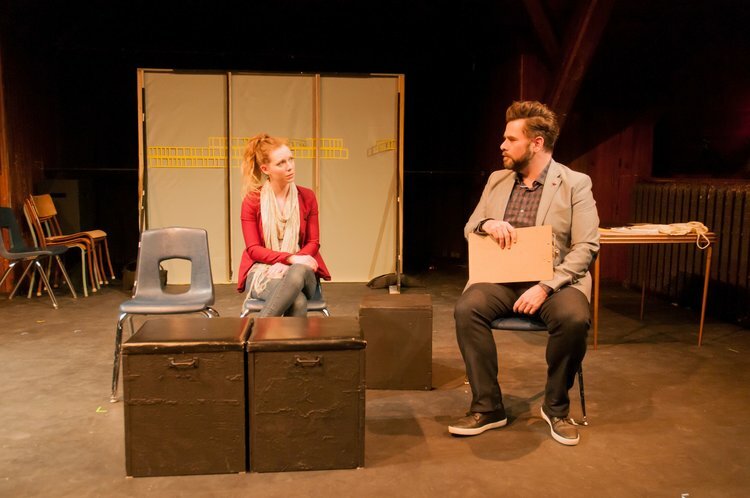 She co-founded No Model Types Productions in Toronto, for whom she directed three plays. 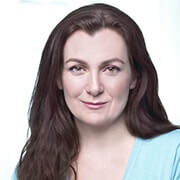 Lori is also a co-founder of Just in a Bowl Productions, with whom she co-wrote and acted in two plays, Unsinkable and The Hungarian Suicide Duel, both performed as part of Fringe Festivals across Canada. Governing Ourselves is the first show in which Sara plays a behind-the-scenes role, and she has enjoyed working and learning with such a talented cast. On the performance side, she has taken acting classes at Milne Studios and LB Acting Studio as well as improv and stand-up classes at Second City. Some of her previous theatre credits include Maggie in Lend Me a Tenor (Theatre Etobicoke), Katie in All the Bright Young Angels (Calliope Theatre), Margaret in Sense and Sensibility (Amicus Productions), and Toni in Cactus Flower (ITOPA). 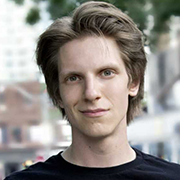 Todd studied acting at George Brown College and improv with The Second City. 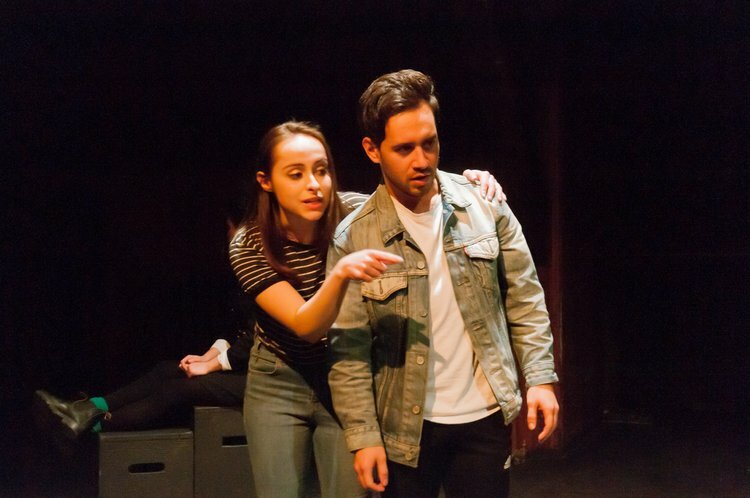 Theatre credits include Tim in The Council (2016 New Ideas Festival), Paul in Paul and Petandra (2016 InspiraTO Festival People’s Choice Award), and Deacon in Test of Mettle (2017 InspiraTO Festival). Todd is thrilled to again be part of the New Ideas Festival. Karen was recently seen playing the role of Sarah in Or Not to Be at the Red Sandcastle Theatre. 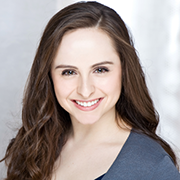 She is a Randolph grad with credits in theatre, musical theatre, film, and television. 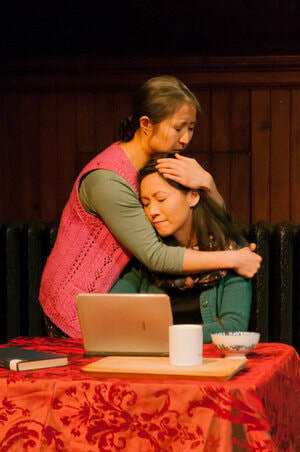 Selected theatre credits include Vicki in Turtleneck (emerGENce Theatre), Pepper in State of Women (Tandum Entertainment), four plays in the InspiraTO Festival including Squirrel in When a Tree Falls. Governing Ourselves is Karen’s second performance in the New Ideas Festival. This year, Karen can be seen in the films Unwavering Distances, Diner Dames, Remember Me, and Ending. To learn more, please visit her website at http://www.karenscobie.com. 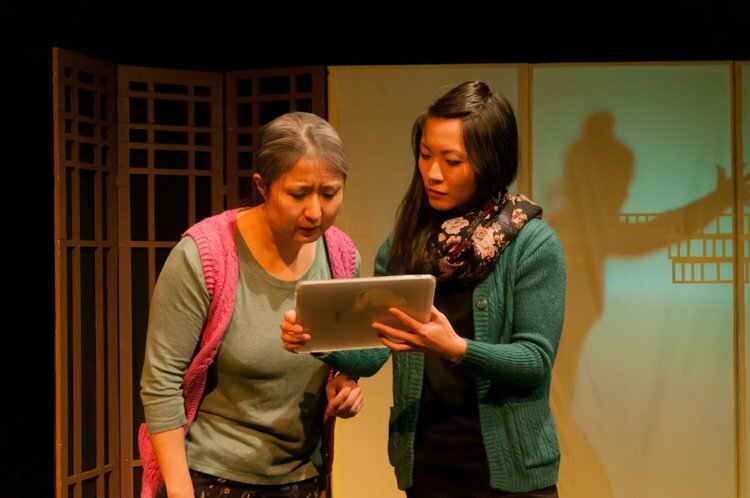 Ying, a Chinese-Canadian data scientist, returns home to Beijing after a disturbing episode that showcased the destructive power of Oracle Jane – the machine learning tool she created. Although with noble intentions, Oracle Jane unearths secrets and unleashes calamity on Ying’s family. Vicki is an assistant professor at the University of Toronto with a special interest in narrative-based mathematical education. She is the author of Uncalculated Risks (Canadian Scholar’s Press, 2014), which was nominated for a Myrdal Prize. 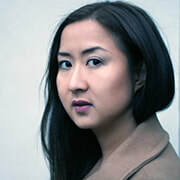 Aside from academic publications, she has written essays and short fiction about the Chinese diaspora for Rookie Magazine and thread. 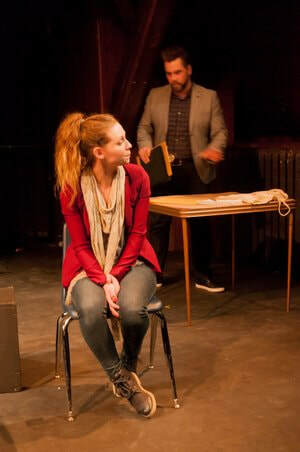 Her ten-minute play The Male Root won the 2012 InspiraTO Festival’s juried ten-day playwriting competition and received staged readings at InspiraTO and the University of Toronto’s Centre for Drama, Theatre and Performance Studies. Don is a bilingual playwright/director living in Toronto. He has won several playwriting competitions and awards. As a director, Don has been involved with Alumnae Theatre’s New Idea’s Festival on several occasions now, most recently directing Rita Deverell’s new play Who You Callin’ Black, Eh? 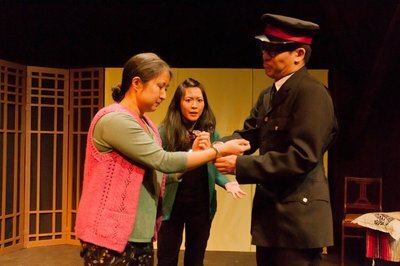 Don is excited to be back again this year to direct Vicki Zhang’s lovely piece, Oracle Jane. Angelina grew up as a performer and dancer. Over the years, she has become more fascinated and interested in how various pieces of theatre come together to create a beautiful story. Angelina just graduated with a diploma in events management and is taking a step in her interest of stage management. She would like to thank New Ideas Festival for giving her the opportunity to grow and learn as she stage manages for the first time. She thanks Don for his guidance through this process. Amy is a multi-disciplinary artist, writer, and activist. She draws inspiration from her diverse experiences having lived, loved, and learned in ten countries across six continents. Her passion for acting stems from a deep yearning to better understand the human condition, people she interacts with, and herself. Amy is happy and humbled to be a part of the New Ideas Festival. When not pursuing creative endeavours or her much-neglected master’s dissertation, she can be found perusing the pages of finger-worn books, coercing stray cats to love her, and battling her chip addiction. She is always aspiring to be more. 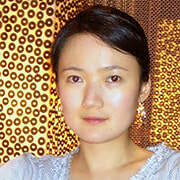 Miroki is an award-winning artist with experience across Ontario, New York, Northern Ireland, and Hong Kong. 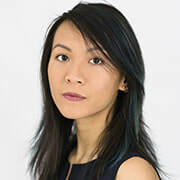 She has performed as part of Luminato Festival’s mainstage (Tout Comme Elle – Necessary Angel), rocked a ninja for LUSH, voiced video game characters, and line produced (and performed!) a film with over 100 cast/crew (Viral Beauty) to name a few credits. 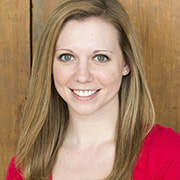 She recently achieved her MBA specializing in Strategic Management and Marketing. Catch her next at the highly popular Nerdgasm on March 31, themed as a tribute to Guillermo Del Toro’s work and featuring some of the best circus and variety acts in Toronto! Siena is originally from the West Coast of British Columbia. After completing her BFA in acting at York University, she is now establishing herself as an artist in Toronto. 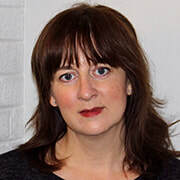 Throughout her time at York, she had the opportunity to work on productions such as A Party for Boris and The Yellow Wallpaper, directed by Matthew Earnest; A Dream Play, directed by David Di Giovanni; as well as Richard II, directed by Tanja Jacobs. Siena is excited to be a part of the Oracle Jane team and to delve into fresh material as a participant in the New Ideas Festival. Donald is thrilled to be making his Alumnae Theatre debut. This is his first theatrical production, and he is really appreciative of the opportunity. Donald is an accountant who enjoys being creative in Playback Theatre, a form of theatre that allows audiences to tell their stories and see them re-enacted on the spot. He has been a performer for Playback Theatre for over 10 years. Donald would like to thank the Alumnae Theatre and the Oracle Jane team for welcoming him and is eager to build and grow his acting career.